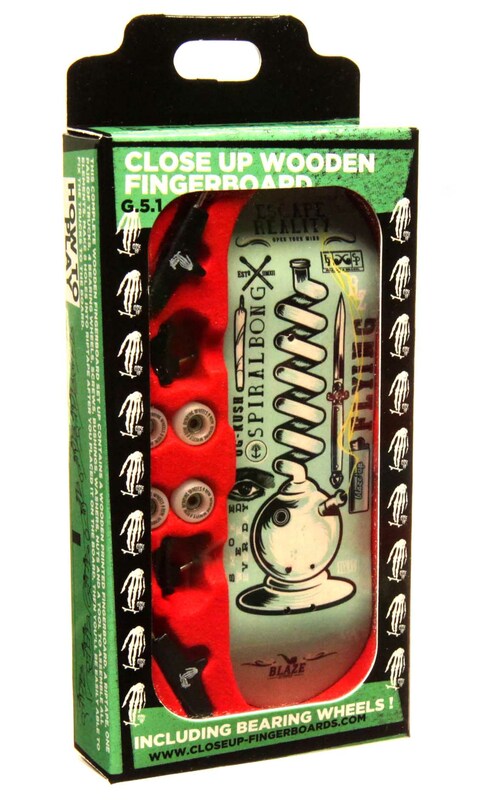 This complete wooden fingerboard set up includes a real maple plies 31 mm wide deck with an original Blaze Supply Skateboards graphic, CNC quality bearing printed wheels, painted and printed trucks, tool and all nuts, screws, bushings, washers necessary to assemble it your own. A pre-cut riptape is also included under the deck. As a resume, this is the cheapest professional complete fingerboard set of ever, including 1 large bearing in each wheel. Shiping will take about 8 to 10 days depending your local delivering services. Thanks for patience, confidence and support. Hi Bob, the wheels don’t need locking nuts, screws stay stable, only central axle for trucks have a locking nut. thanks for confidence and support.